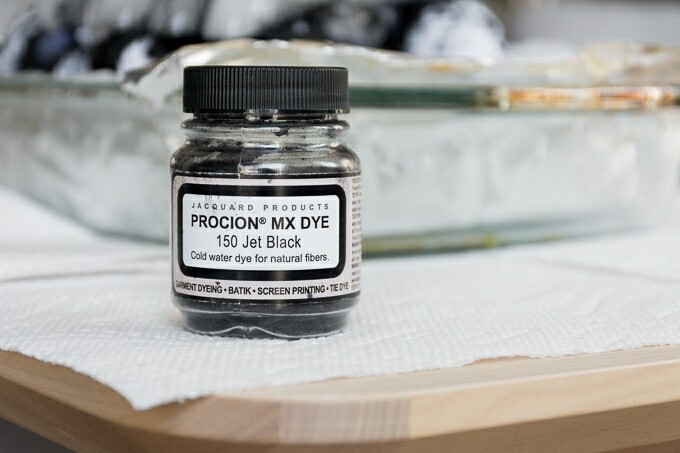 This post will teach you how I dyed a white rug black using Jacquard Procion dye powder in Jet Black. Originally I was just going to reuse this old rug we had in Tootie’s bathroom closet. 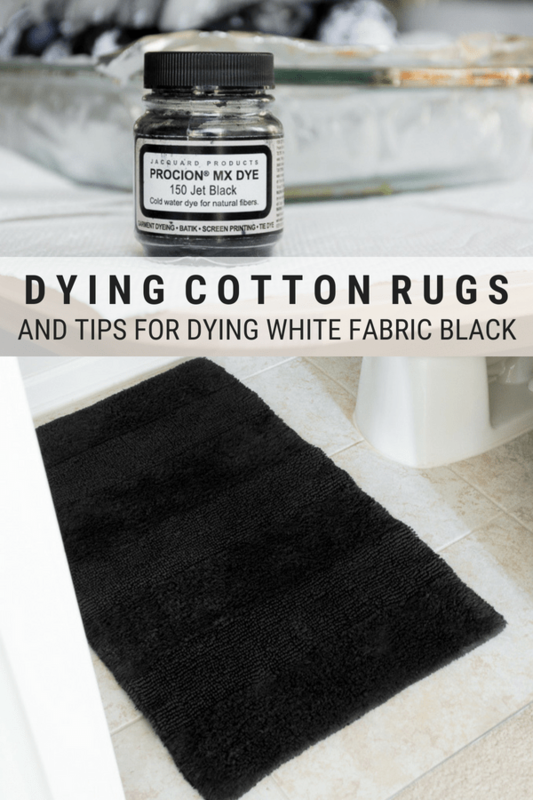 But when I realized it was 100% cotton and would therefore take the black dye I had on hand…well, I decided to try my hand at dying a rug. (I had the dye on hand for another project I haven’t shared yet, so that’s coming up soon!) I love being able to reuse something and turn it into a completely new piece. Sure, it’d be easier to just buy a new rug, but then you’re just contributing more stuff to the stuff ecosystem. 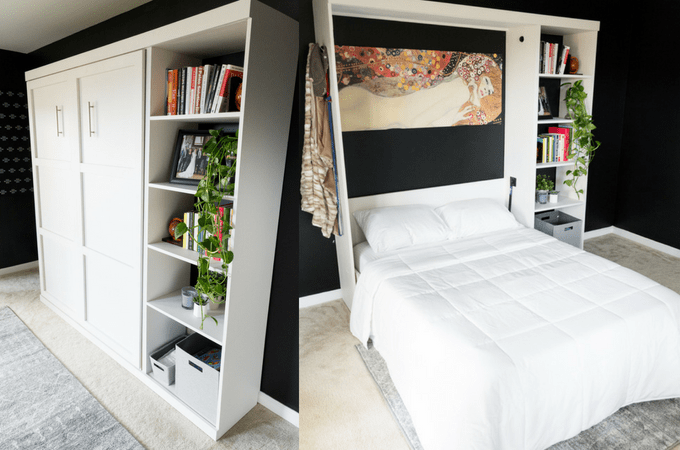 Also, this is the $100 Room Challenge, so you gotta cut corners where you can. Here’s my rug before I did anything to it. There are some small stains on it that you can’t really see in this photo. Nothing terrible, but they won’t come out. I’d hoped a darker color would disguise them. Step 1: Prep. First I soaked my rug in a mixture of warm water and soda ash to ensure the dye was able to penetrate the fibers as well as possible. As a reminder, this dye only works for natural fibers. Follow the instructions on your jar of dye powder to ensure you’re using the right amount of washing soda/water for the amount of fabric you have. I soaked mine for about an hour, though my instructions said 30 minutes would have been fine. Step 2: Next I filled a dye bath. 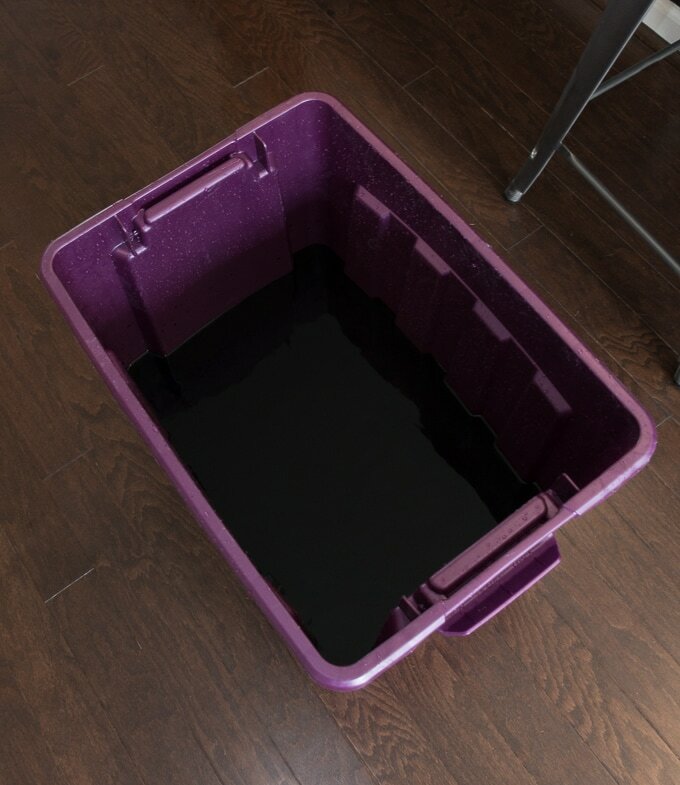 I used a plastic storage tub since I figured it’d be easy to pour out and wouldn’t stain. I was thankfully right on both accounts! First I added the hot water. Then I added the appropriate amount of dye powder for the size of my rug. This dye powder is MESSY because it is extremely pigmented and concentrated! I used gloves and didn’t wear anything I didn’t want ruined. Thankfully my clothes were fine, but I didn’t want to risk it. 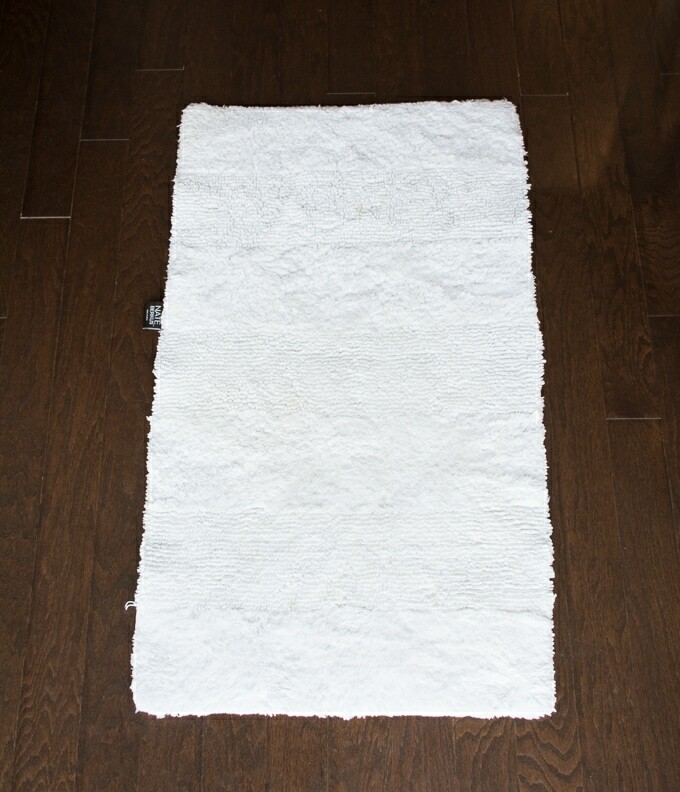 I let my rug sit overnight, agitating the bath and flipping the rug every so often to ensure I was getting every spot. This is longer than advised, but I wanted to make sure it had plenty of time to soak up the color. Step 3: To empty the bath, I carefully dumped bowls of the black water into the toilet and flushed it. Then I picked up the entire container and dumped the rest out in the sink—including the rug. Time to wash it out! I rinsed and rinsed and rinsed and rinsed. It looked navy. A very dark navy, but still navy. I knew dyeing a bright white to a jet black would be difficult, but I was confident this dye could handle it. So I did what any rational person would do: I did another soak of warm water and dumped the rest of the dye powder in. 🙂 I also added some dissolved salt, which I’d read in the Amazon reviews could help. 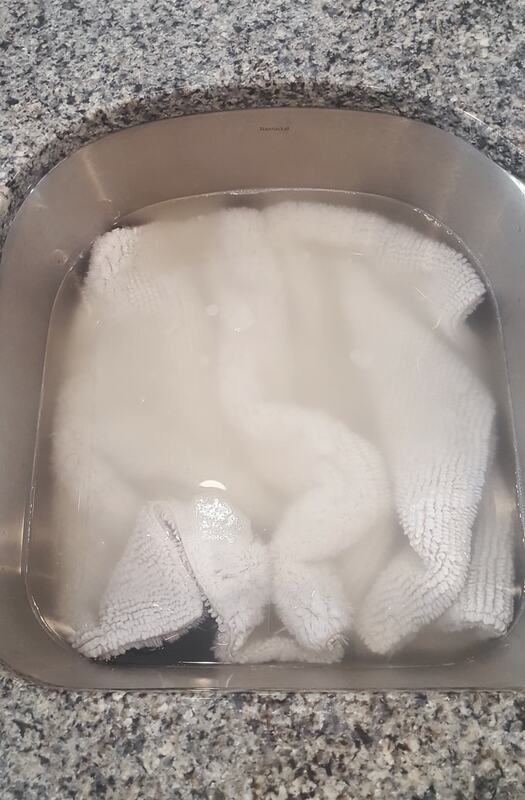 Once I repeated the soaking and emptying and rinsing process, I was anxious to see if the black took. 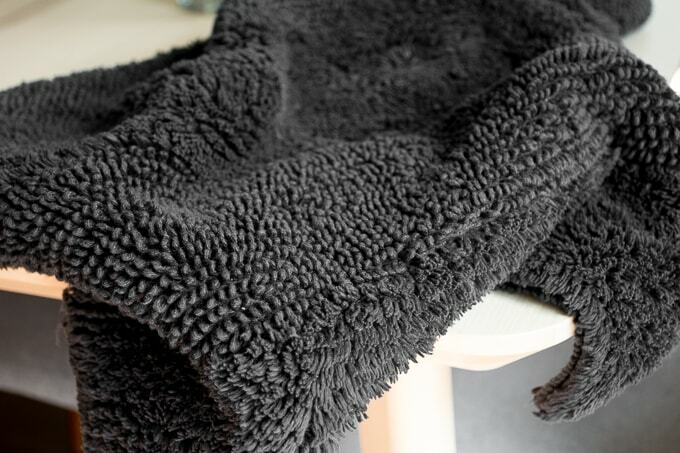 I washed the rug with three dark towels in the washing machine to ensure the load was balanced. Then I threw it in the dryer. It worked! My rug is now black! Here’s a picture of it in the space. 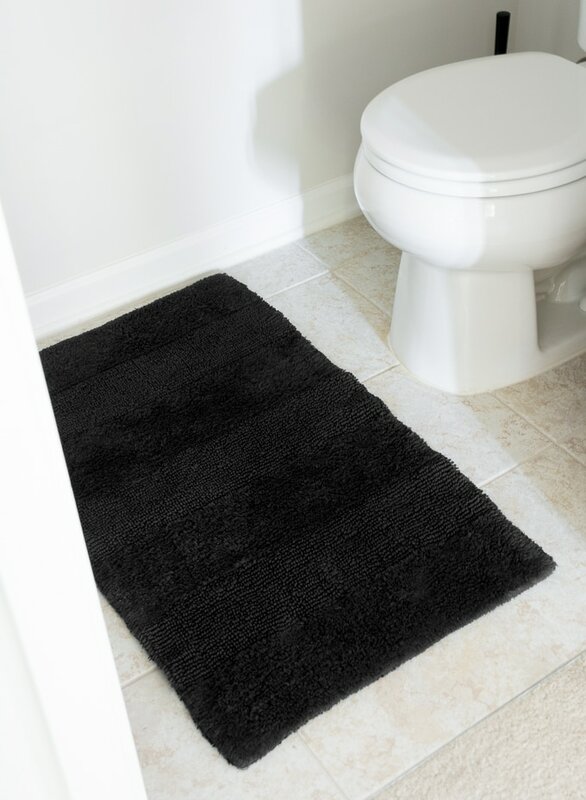 Sure, I could have just bought a black rug and saved myself a lot of hassle, but where’s the fun in that? Reusing and repurposing to make a totally different piece is so rewarding. Thoughts? Check out the rest of the participants! Dying your rug is such a smart way to save money in the budget plus it looks great! I am looking forward to seeing the reveal next week. Wow. I’m impressed that the rug came out so well. I would have thought it would end up splotchy. Looks great! Thanks Deneen! I was curious to see how it would turn out, too. Really happy with the result. I’d love to do this with some of my faded black clothes! 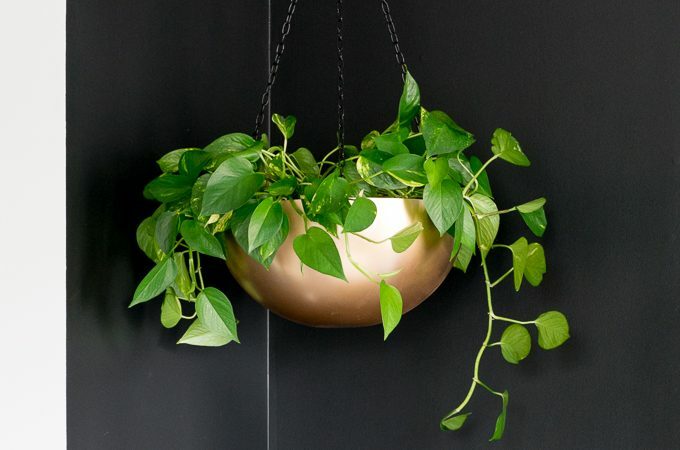 Why buy when you can DIY! haha Absolutely! totally perfect for this challenge!